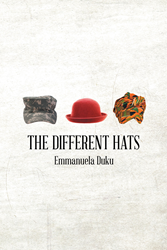 Recent release “The Different Hats: The Soldier the Student, The Foreigner” from Page Publishing author Emmanuela Duku is a lyrical, stream-of-consciousness reflection on a young woman’s new American life in three distinct chapters. Emmanuela Duku, a US Army veteran and active Army reservist currently pursuing a Master’s degree in marriage and family therapy, has completed her new book “The Different Hats: The Soldier the Student, The Foreigner”: an evocative exploration of a young émigré’s experience in America. Published by New York City-based Page Publishing, Emmanuela Duku’s book is an evocative window into her experience as a foreign woman serving in the US military and attending university in America. Readers who wish to experience this lyrical work can purchase “The Different Hats: The Soldier the Student, The Foreigner” at bookstores everywhere, or online at the Apple iTunes store, Amazon, Kobo, Google Play or Barnes and Noble.